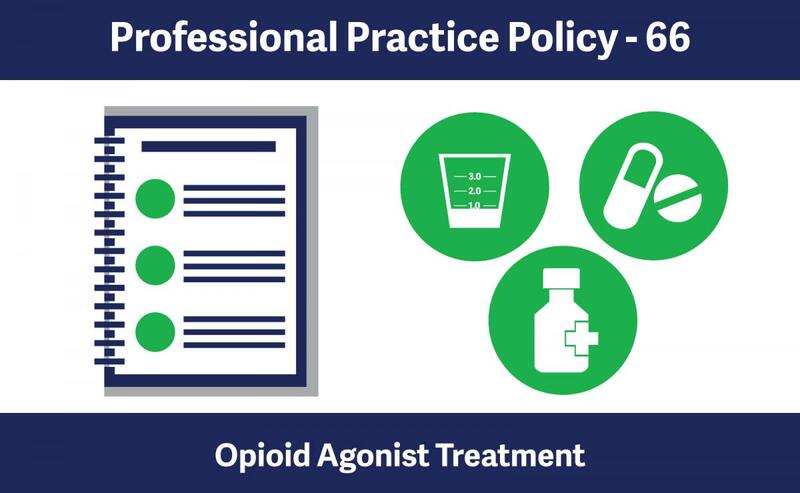 Professional Practice Policy-66: Opioid Agonist Treatment sets out requirements for safe dispensing of drugs used to treat opioid use disorder. This policy has been updated to align with the new Provincial Guidelines for the Clinical Management of Opioid Use Disorder developed by the BC Centre on Substance Use (BCCSU). To support these new opioid agonist treatment options, Professional Practice Policy-66 now includes policy guides for Buprenorphine/Naloxone Maintenance Treatment and Slow Release Oral Morphine Maintenance Treatment. The existing policy guide for Methadone Maintenance Treatment continues to be in effect. The new BCCSU guidelines recommend buprenorphine/naloxone as the preferred first-line opioid agonist treatment (OAT) for opioid use disorder. Methadone remains a first line option when buprenorphine/naloxone is contraindicated or unfeasible, and slow-release oral morphine may be used when both the first and second-line treatments are ineffective. This guideline will serve as the provincial clinical practice guideline for all clinicians who wish to prescribe oral OAT to patients with opioid use disorders. The policy amendments and two new guides are in effect as of January 1, 2018. As of January 1, 2019, new Opioid Agonist Treatment training requirements are in effect. The new Opioid Agonist Treatment Compliance and Management Program (OAT-CAMPP) for community pharmacy, developed and administered by the BC Pharmacy Association, is aimed at reducing stigma and expanding pharmacists’ knowledge about methadone, buprenorphine/naloxone and slow-release oral morphine. A transition period will take place up until March 31, 2021 during which PPP-66 will require pharmacy managers, staff pharmacists, relief pharmacists and pharmacy technicians employed in a community pharmacy that provides services related to buprenorphine/naloxone maintenance treatment, methadone maintenance treatment or slow release oral morphine maintenance treatment to complete either the College’s existing MMT training program or the BCPhA’s new OAT-CAMPP course. P​​harmacy technicians only need to complete the online component of OAT-CAMPP. The content of the in-person workshop focuses primarily on clinical cases that are not as relevant for pharmacy technicians.